It is not about some complicated laws or formulas. Physics is the subject that must be covered at least in the minimum necessary volume. And if you suddenly need to write an essay on physics, then you can always take the topic that we are exploring today, or any other. Since H2O molecules do not have a charge, they do not conduct electricity either. Therefore, distilled liquid is considered an insulator, that is, it is not a current conductor. But if even a very small number of ions is added to the water, its electrical conductivity sharply increases and it becomes a full-fledged conductor. Everyone knows that water and electricity are a very dangerous combination. In order to understand this, it is necessary to represent an atom that consists of protons, neutrons, and electrons. The ratio of neutrons to electrons determines the charge of an atom. If positive particles prevail, the charge is positive, if on the contrary – negative. Since atoms tend to neutral charge, they give or take away electrons. When an electron passes from an atom with negative charge to an atom with a positive one, an electric current is formed. Particles of distilled water do not have a charge. However, such water is infrequent. All the liquid that flows from the tap is contained in rivers, lakes and seas – this is a mineral solution of one concentration or another. It contains both positively (calcium, magnesium, sodium, iron) and negatively (chlorine, sulfate, carbonate) charged particles, so this water conducts current well, and the better the more is the concentration of mineral salts. When the current flows through the water, the atoms of oxygen do not almost have to move. 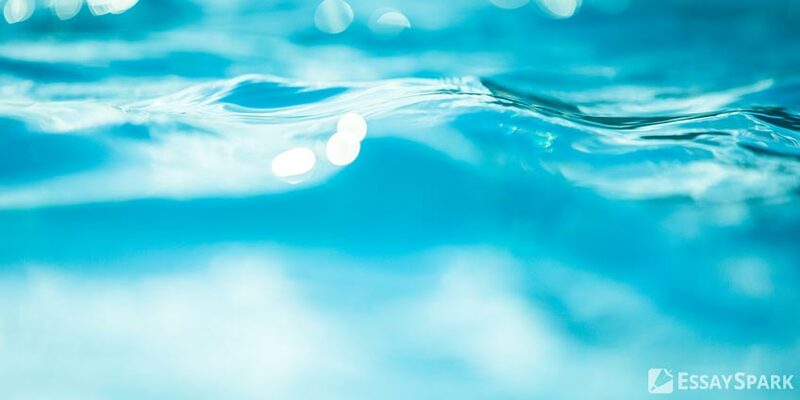 In the early 19th century, the German chemist Theodor Grottus proposed a theory that explained why water conducts current and why electricity can decompose it into hydrogen and oxygen. He considered that the H2O molecules can capture extra protons and transfer them to each other thanks to the formation of new hydrogen and covalent connections and their rapid decay. No one knew to date how do the H2O molecules involved in proton exchange look like since it is extremely difficult to trace this process because of its transience and the extremely small scales on which this reaction takes place. Yale chemists managed to solve this problem by finding that such reactions slow down and become visible to the instruments when two conditions are fulfilled: cooling a small amount of H2O molecules to almost absolute zero and using only "heavy" water – molecules consisting of ordinary oxygen and deuterium, heavy Isotope of hydrogen. By highlighting such molecules with the help of infrared laser beams and observing changes in their spectrum, scientists were able to see how the free ions of deuterium join the heavy water, and how they "jump" to the neighboring molecule. As these observations have shown that such exchanges do not take place between individual molecules, but between the original "collectives" of molecules, which combine four ones of H2O. In general, this confirms what scientists had previously suspected on the basis of computer calculations, but could not prove in practice.